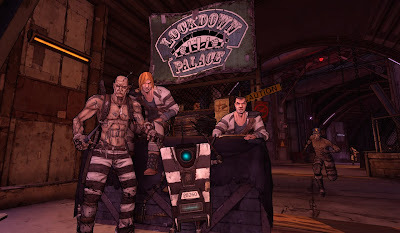 Synopsis: Gearbox has done it again and released yet another DLC pack for the hugely entertaining IP, Borderlands. The Secret Armory of General Knoxx is the most recent of DLC packs claiming to be their largest pack to date, boasting twice as long as the Zombie Island of Dr. Ned DLC pack. The Secret Armory introduces a new area to Pandora which is twice the size of Jacob’s Cove providing new missions, entirely new weapons, and an increase in the level cap to sixty one, rather than fifty. After completing the new addition to my favorite game of 2009 on playthrough one and partially through on playthrough two, here is a little review for those that haven’t purchased it yet. Praise: Because this is a review of the most recent DLC, I will focus on addressing the content and gameplay while trying not to get off topic. 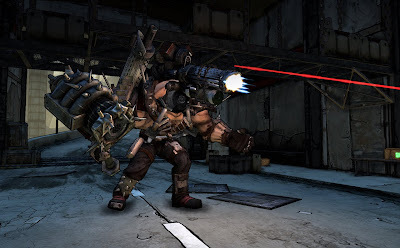 Gearbox developers have been listening to their fans’ requests from the launch of this title to date and the proof is in the new level cap and additional vehicles. This recent pack continues the story from where the game left off, which is great because it isn’t the typical map pack or add on level. The increased level cap of sixty one is the biggest thing I wanted from this title; however, I am not able to stop until I reach the new level cap now. 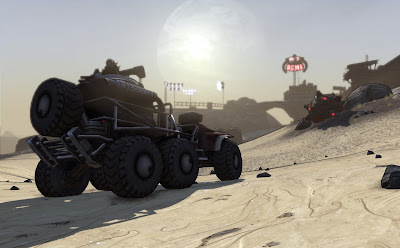 Also the lack of variety when it comes to vehicles has been addressed with the monster, that totes a heat seeking rocket weapon and the lancer, armed with a cannon that shocks whatever it comes into contact with. The dialogue is probably what stands out the most with more over the top humor and vulgarity, often times leaving me shocked wondering if they really said or did that. Gripes: The new DLC does provide substance in regards to dialogue, but where it excels in content it still lacks a deep story. Difficulty on playing alone on the second playthrough was rough on my level 42 Lilith and level 50 Brick, so much so that I went back to playthrough one to level up more before trying to complete again on playthrough two. Unfortunately, the few times I tried playing coop on playthrough two I was unable to quickly find someone to join my game. The other issue I had quite often was regardless to the vehicle I was in; it would get stuck easily and would end up having to go to the nearest station to spawn another. Overall, what’s next? Really! 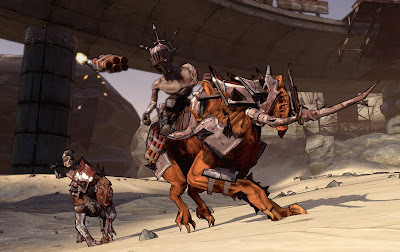 After playing through two out of three of the available packs, multiple playthroughs, and two different characters, what else can Gearbox bring to the world of Borderlands? I am hoping for a new character class, but not holding my breath. 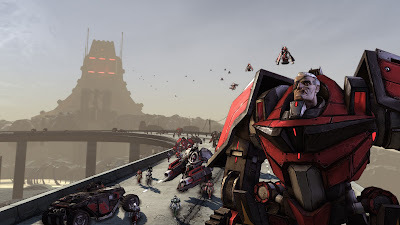 Gearbox has really outdone themselves with a solid game and fun DLC packs to keep fans from trading it is and leaving the immersive planet of Pandora. Mashbuttons.com gives Borderlands: The Secret Armory of General Knoxx an 10 out of 10. Borderlands: The Secret Armory of General Knoxx is available now for the Xbox 360, PC, and PlayStation 3.